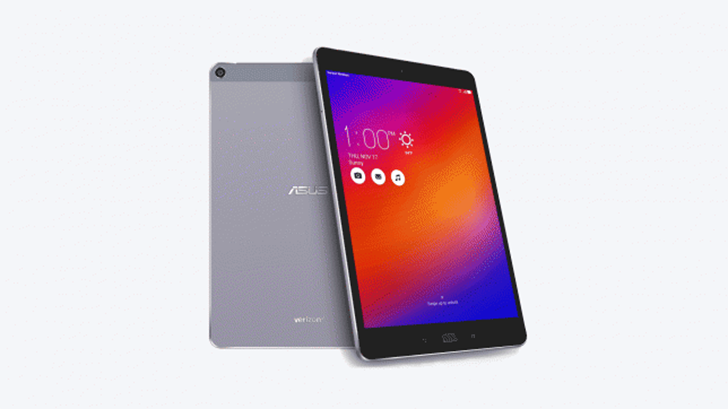 Today, ASUS and Verizon announced the LTE-equipped model of the ASUS ZenPad Z10 tablet. If you're already on Big Red, which you have to be for this device, it's not a bad choice for the asking price of $329.99. The Z10 LTE is powered by a Snapdragon 650 CPU with 3GB of RAM, running Android 6.0 (with ASUS' ZenUI, of course). There is no indication in the press release or Verizon's site of an update to Android 7.0 Nougat, so don't get your hopes up. The Z10 has 32GB of internal storage, expandable with microSD cards up to 128GB. The screen is a 9.7" panel at 2048x1536, with a 178° wide viewing angle. The Z10 includes a USB Type-C port on the bottom, so you can share chargers with your new Pixel phone (or one of the many other devices with Type-C). ASUS and Verizon are pushing the Z10's audio, with the tablet having dual stereo speakers (although seemingly not front-faced) and DTS-HD audio for enhanced audio through headphones. Finally, the rear camera is 8MP and the front is 5MP. But please don't ever take pictures with a tablet. You can order the Z10 LTE from Verizon's site, or from their retail stores beginning October 13.